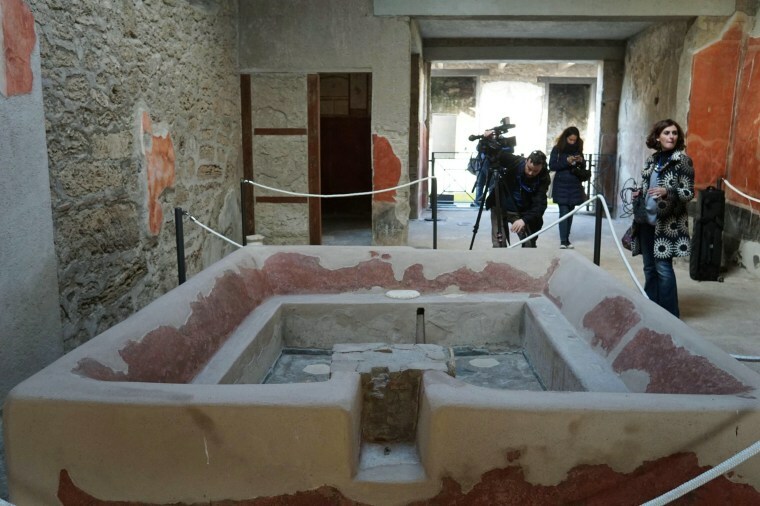 Six ancient homes are unveiled after four years of restoration works in the ancient Roman city of Pompeii on Dec. 24. 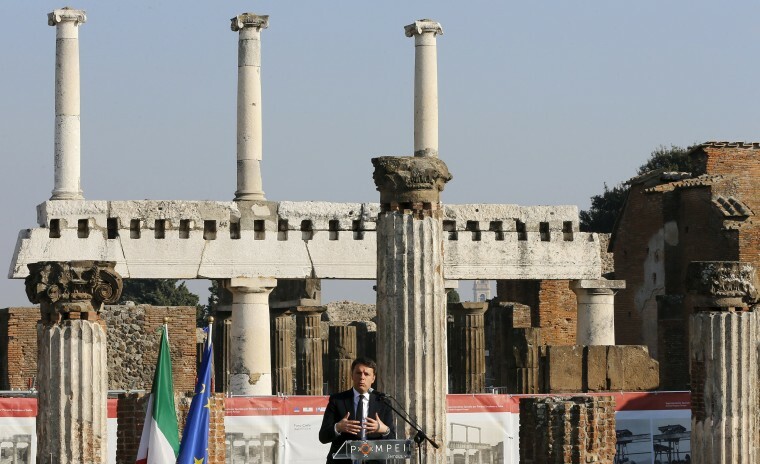 Italian Prime Minister Matteo Renzi speaks during the unveiling ceremony for the opening of the six restored domus at the archaeological site of Pompeii, Italy. 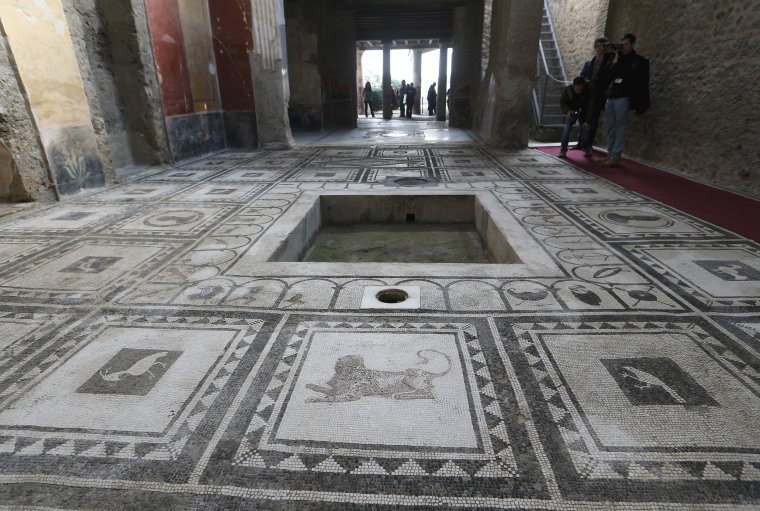 Domus are houses owned by the upper class and wealthy freedmen in ancient Rome. 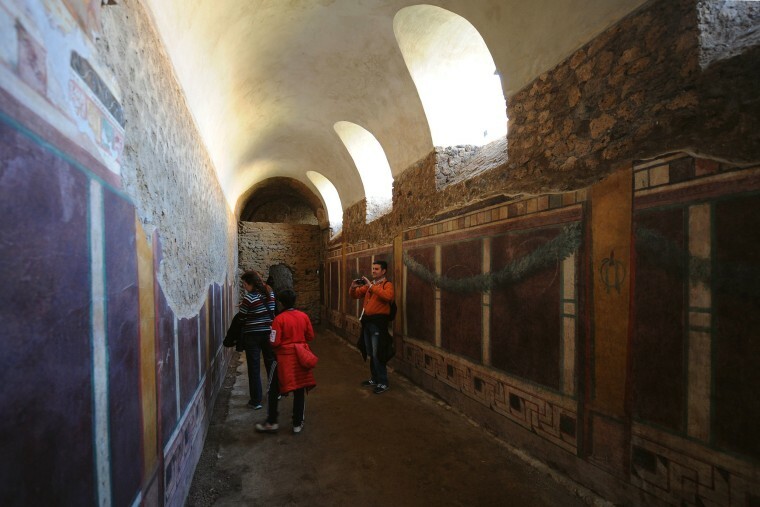 People visit Fullonica di Stephanus, one of the six domus. 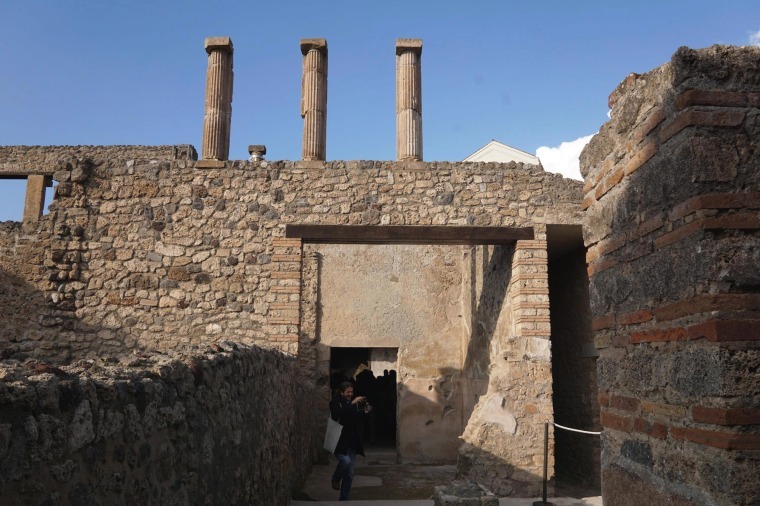 The restorations were carried out under the 105-million euro Great Pompeii Project funded by the European Commission and aimed at safeguarding the unique UNESCO World Heritage site. The press set up equipment inside the Fullonica di Stephanus. 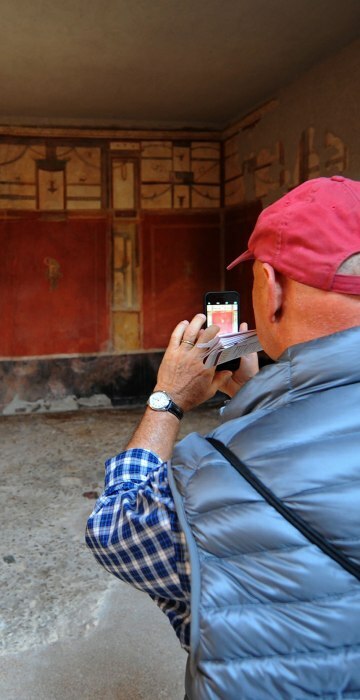 People take pictures inside Casa di Paquius Proculus on Dec. 24. Visitors walk inside the Casa del Criptoportico. 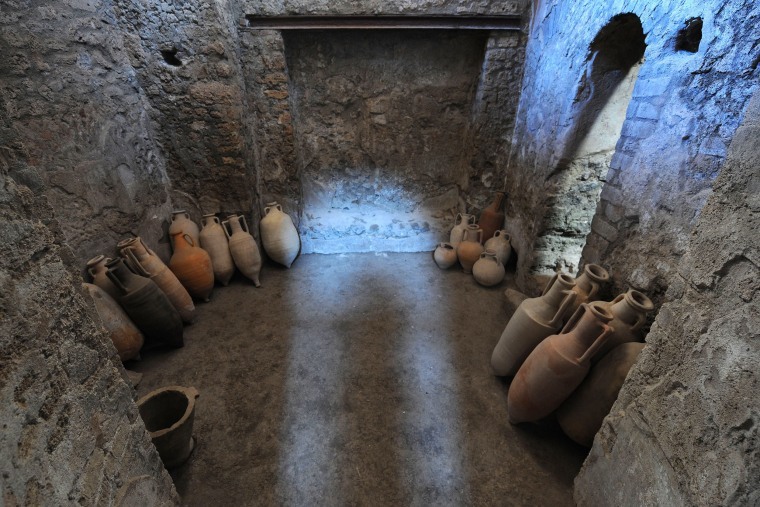 The amphoras sit in the Casa del Criptoportico. 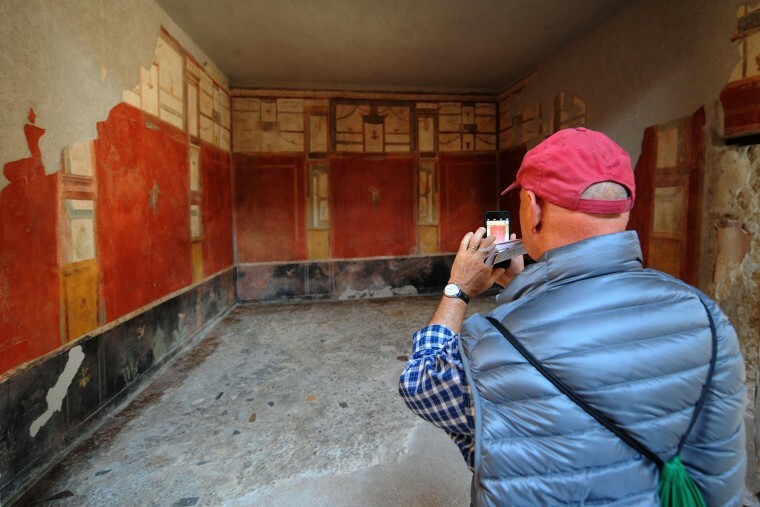 A man visits the Fullonica di Stephanus, one of the six houses. 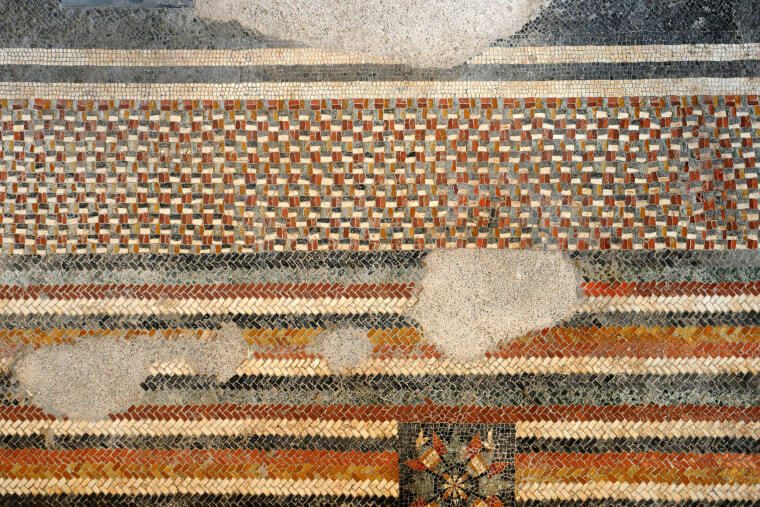 A floor is covered with colorful mosaics at the Casa del Criptoportico. 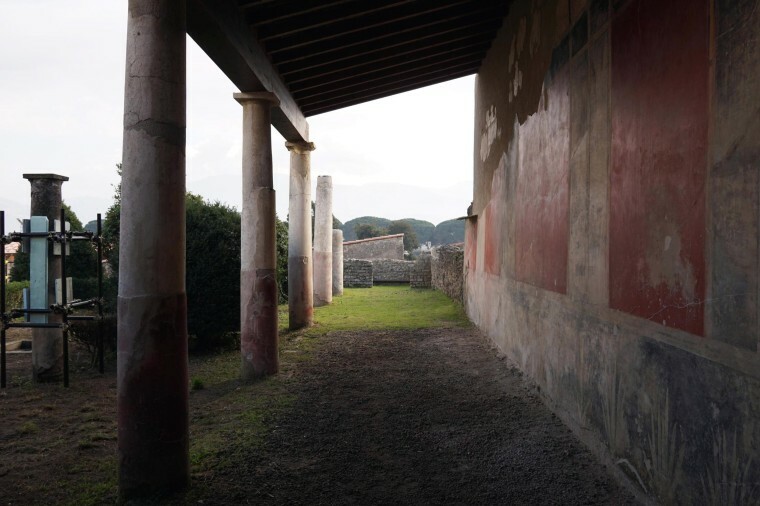 Pillars are still in good condition outside the Casa di Paquius Proculus, one of the six houses unveiled at the ceremony. New tours will be open to public on Dec. 26, 2015.